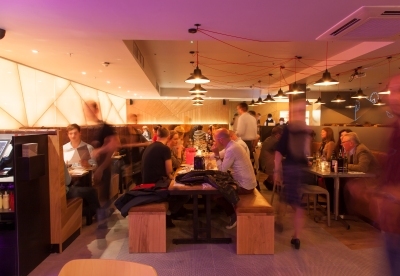 VQ is a buzzing 24 Hour Café & Diner just around the corner from Dominion Theatre, serving delicious food at reasonable prices, whenever you want. Whether you're after breakfast, lunch, or a late night snack, VQ will always give you a warm welcome. Set Menu available midday - midnight £12.95 for two courses or £15.95 for three courses. 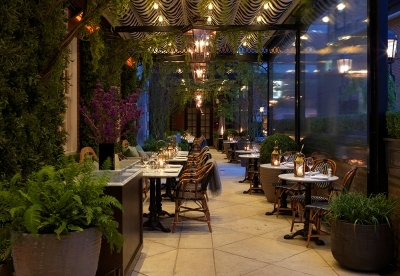 Fully heated, this indoor-outdoor, all-day dining destination is located in The Bloomsbury hotel, just behind the Dominion Theatre. Open throughout the year, it offers the peace and charm of a secluded secret garden in the autumn and winter, and the perfect alfresco hideaway in the spring and summer. Enjoy afternoon tea or pre-theatre dining and drinks just two minutes from the theatre. 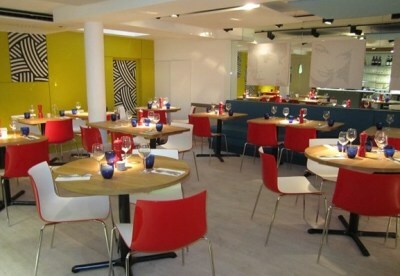 A charming three-floored restaurant at the Oxford Street end of one of London's premiere dining-out roads. Customers can enjoy views of Charlotte Street from the first floor room, or relax at al fresco tables at street level. TAS Bloomsbury is located in the heart of Central London, just minutes walk from the Dominion, and the perfect place for pre- or post-theatre dinner and drinks. 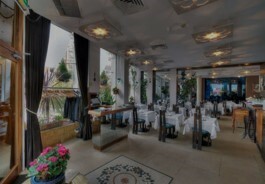 Order from the a la carte menu, or the special set theatre lunch and dinner menu. TAS Restaurants are famed for their Turkish and Anatolian dishes with a wide selection of mexe starters, oven baked classics, grilled favourites, daily fish specials and an award-winning vegetarian and vegan selection. Pre/Post-Theatre menus priced at £14.95 or £19.95 for two or three courses.